Loader manufacturer, Quicke, is set to showcase its latest offering in heavy implements for telehandlers and wheel base loaders, at the Royal Highland Show from 21 to 24 June. Quicke account manager, Murray Thomson, explains that the heavy implements range was officially launched at LAMMA earlier in the year, but the Royal Highland Show will be the first opportunity for farmers to preview the latest additions to the group. “The newest Silograb will be available to preview at the show, and is specially designed for heavy duty work, with different tine options to suit specific farm needs. “Forged tines can be replaced when worn and can penetrate very dense silage, whereas the profile-cut tines are welded onto the body of the implement for increased strength and prolonged lifespan,” he says. The innovative bolt-on-rail system also allows for simple installation of a variety of hooks, making transitions between implements quick and easy. 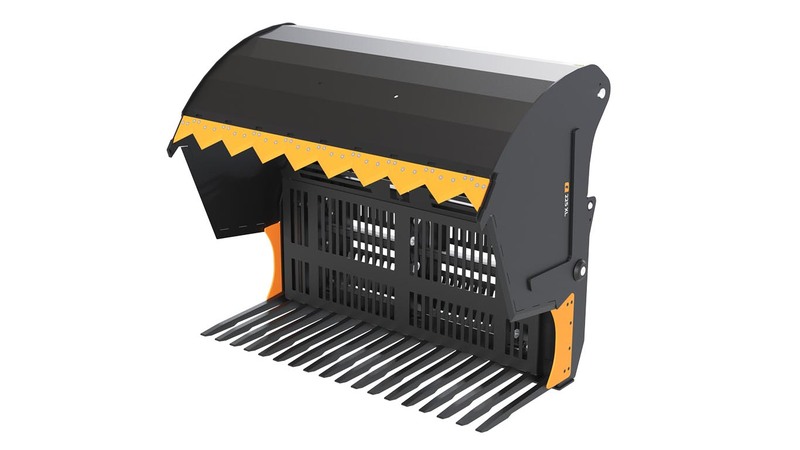 Murray goes on to explain that the high-volume XV Bucket, is ideal for rapid movement of materials such as grain, woodchip, soil or gravel. “We pride ourselves on the strength, quality and durability of our products, and the XV bucket is no different. High stress locations are reinforced, and the bolt-on cutting edge can be easily reversed or replaced to maintain the product’s lifespan,” says Murray. The final product in the range, that will be on show for the first time in the UK, is the Silocut XL range. “These silage block cutters will suit those that not only want to lift silage from the clamp, but also cleanly cut and transport large loads of forage. “The choice of profiled hardened or forged tines, combined with angled side knives and plates, ensure that forage is cut towards the rear of the implement, preventing tearing. This helps to preserve the quality of the silage by minimising air circulation and heat generation within the clamp,” he says.